Frugal Mom and Wife: Free Bayer CONTOUR Starter Kit with USB Blood Glucose Meter! Free Shipping Too! 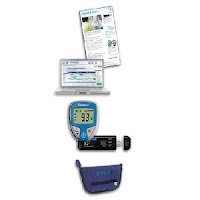 Free Bayer CONTOUR Starter Kit with USB Blood Glucose Meter! Free Shipping Too! Bayer has an exclusive offer to help you simplify your life with diabetes. Simply follow the link below and enter the promotional code: " 300 " then click submit. that includes a CONTOUR USB meter, carrying case and more. Free Shipping Too! No Hidden Catches!